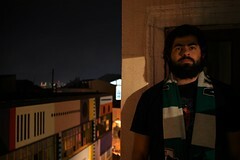 When I was stuck in my old life and used to daydream about quitting my job and buying a one-way ticket to Europe, I fantasized about walking the Camino de Santiago or going to see my favorite artists perform at music festivals. Never in my wildest flights of fancy did I consider the possibility of traveling to the Ardeche region in the south of France and spending some quality time with Dennis Aubrey and PJ McKey of Via Lucis Press. They’re here for about a month on their annual pilgrimage to visit and photograph Romanesque churches in some very out of the way places, and many months ago they offered to let me join them in their ongoing quest to document the great architecture and sculpture made by mostly anonymous–yet brilliant–masters of stonemasonry and architecture. 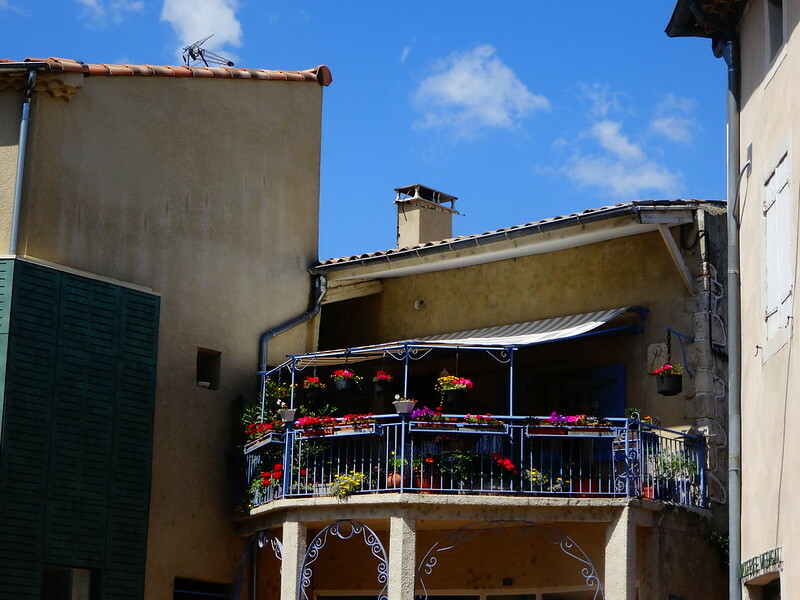 After they picked me up from the TGV station in Valence, Dennis and PJ drove me south to the sun-washed village of Les Bordels, part of a greater commune called Berrias-Casteljau. 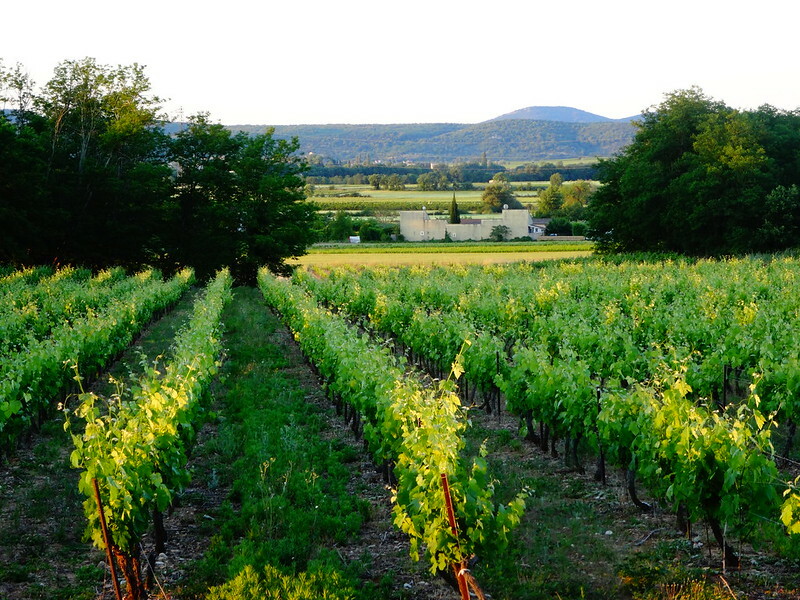 We did a lot of grocery shopping and once we settled into our cozy gite we opened some bottles of wine Dennis purchased from farther north in the Rhone valley and broke the ice. Between the silkiness of the wine and the calming view of the vineyard right in our own backyard, any awkwardness that remained from meeting internet people in person slid away. 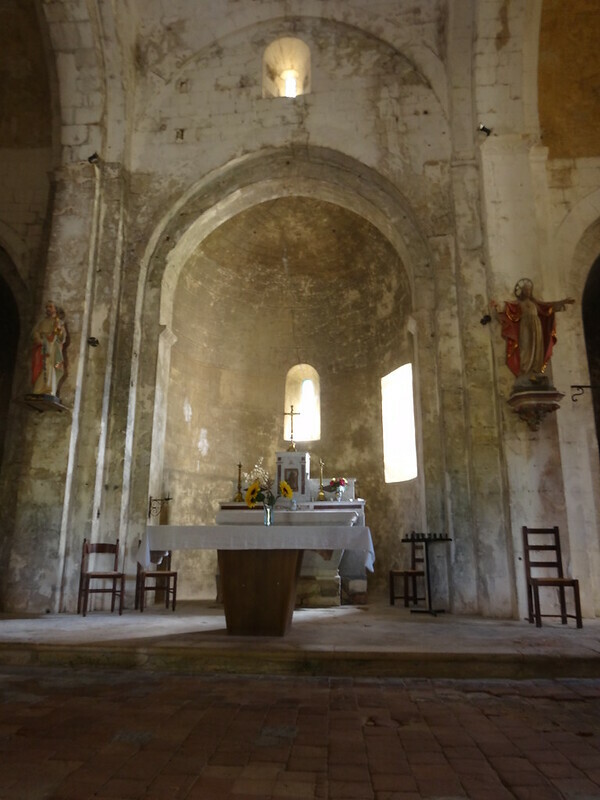 The next morning we braved the heavy Mistral winds and drove to the tiny village of Larnas to photograph the church of Saint Pierre. 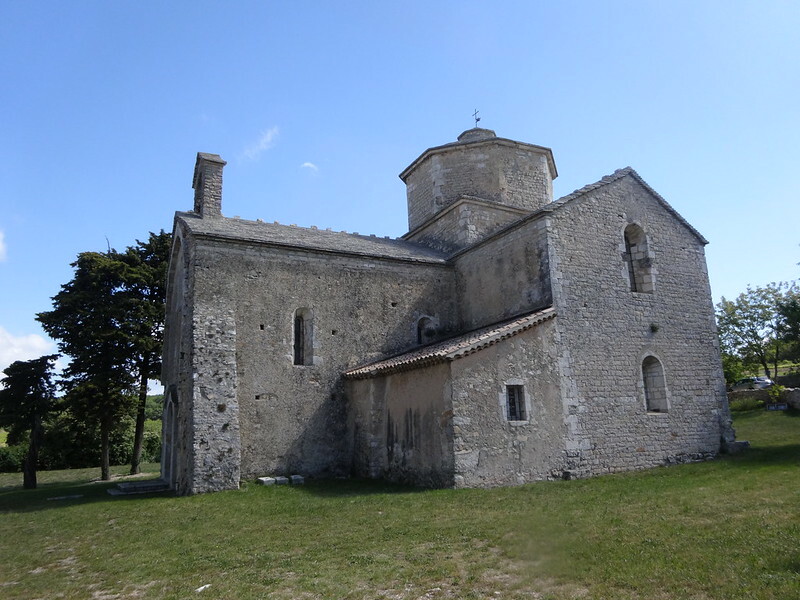 Saint Pierre is your typical Romanesque village church, sitting between towering cypress trees for a thousand years and witness to numerous generations of the same few families passing through the endless cycle of birth and death. For a church not much bigger than a premium apartment in Manhattan’s Upper East Side, what Saint Pierre may lack in size it makes up for with a simple layout and soft light filtering onto jarringly whitewashed walls (the paint carries a type of fungicide meant to keep the church from being overcome by mold). 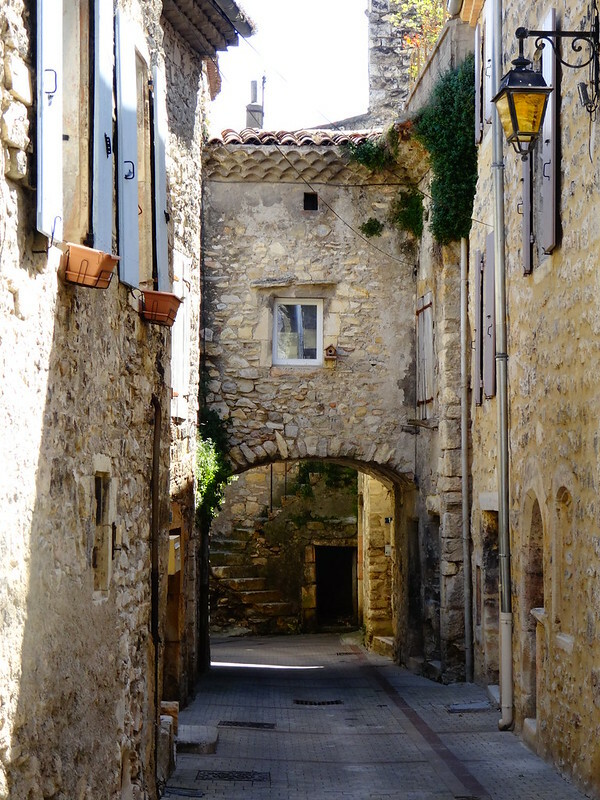 From Larnas we drove into the Rhone valley to the medieval town of Cruas; at the very top of a hill overlooking the modern section of Cruas is a weathered yet robust castle. 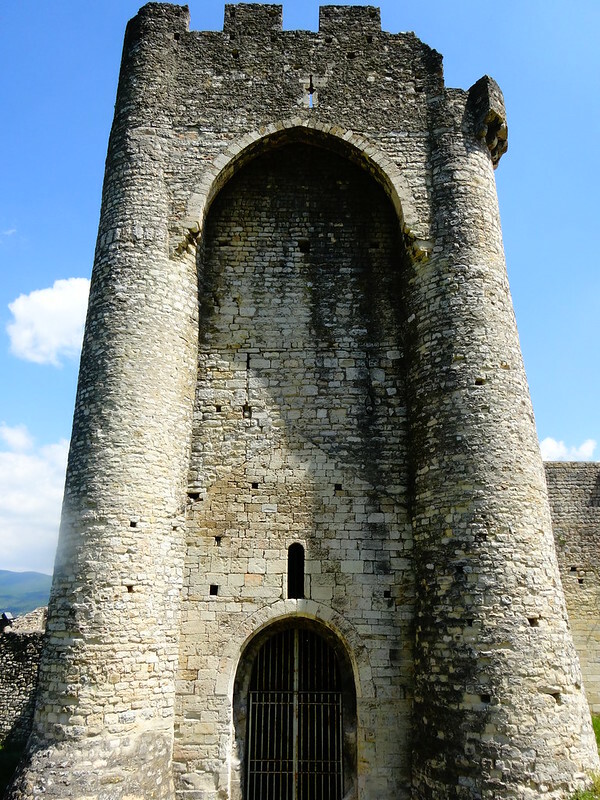 PJ did something in front of the castle which I have been sworn to secrecy against revealing–suffice to say that my guides in the Ardeche have their idiosyncrasies. 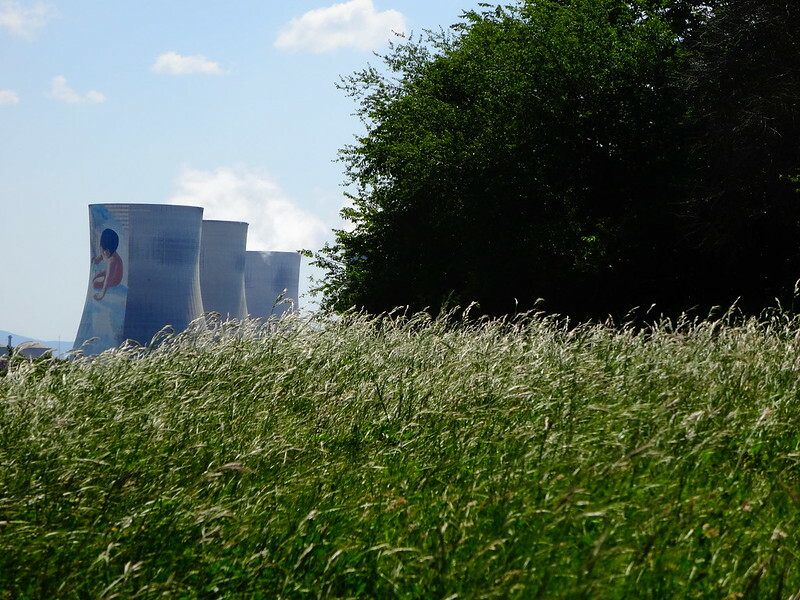 Also standing quiet sentinel above the valley is a nuclear station, painted with an unsettlingly huge mural of a little girl playing in water. 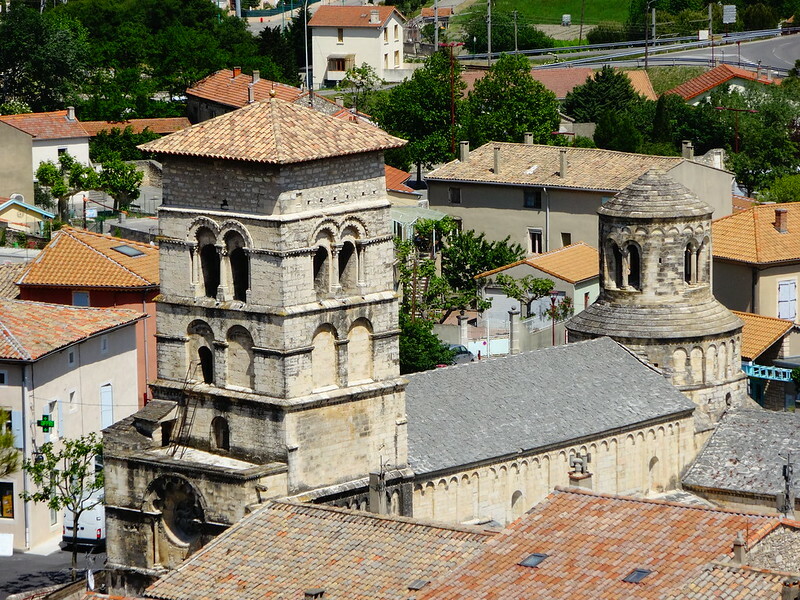 Beneath the reactor and the castle is the town of Cruas and its Benedictine church, the Abbatiale Sainte Marie and its complimentary towers holding court in the main square. 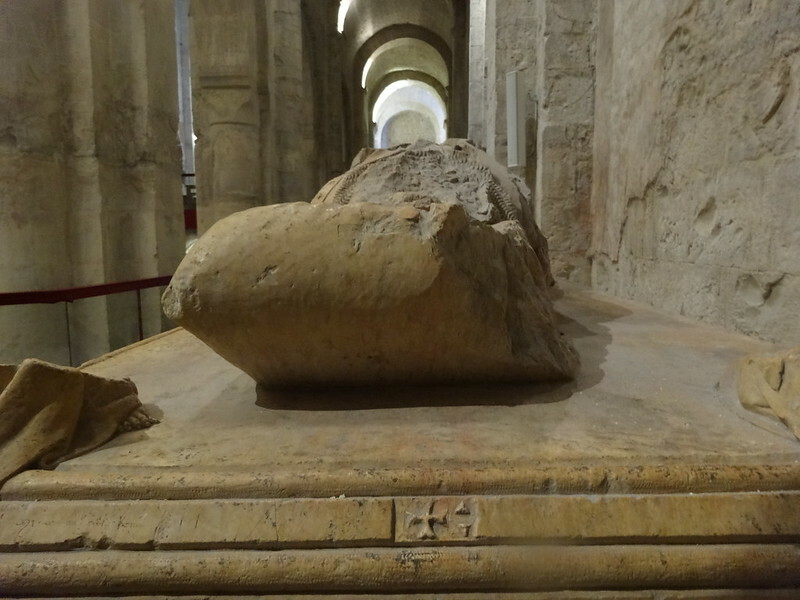 For those with Illuminati conspiracy/Da Vinci Code tendencies, the heavily damaged tomb of a Knight of Malta might prove interesting. 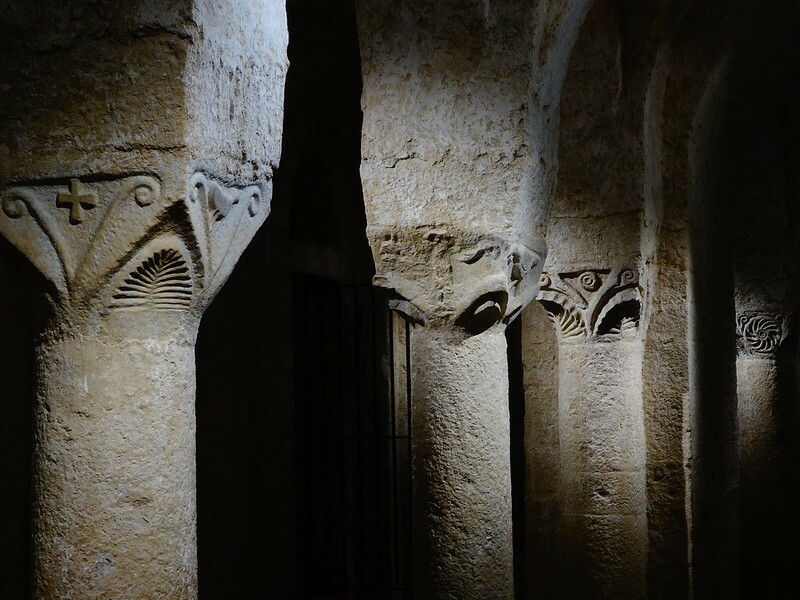 If your focus is less on conspiracies and more on Romanesque sculpture, then Cruas will blow you away–as it did for us. 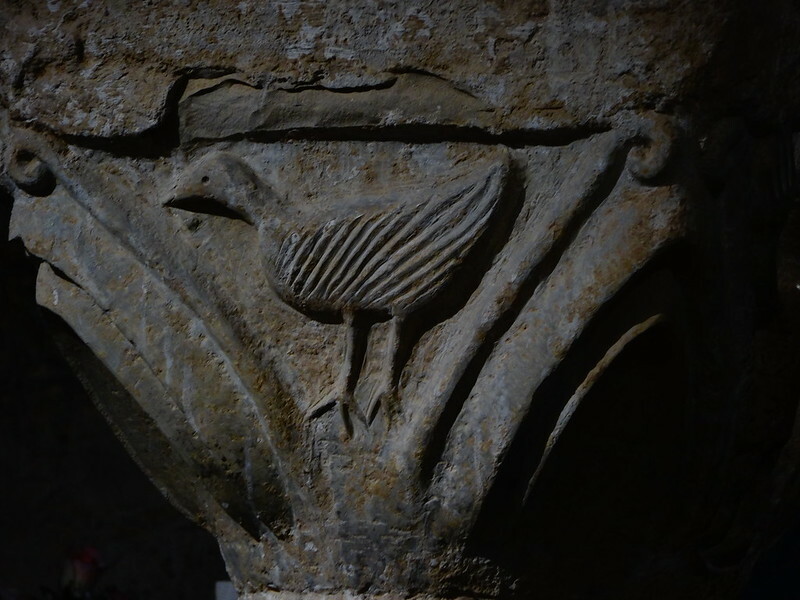 In the crypt are 1100 year old sculptures, some of stylized birds (and one alien-looking human) and some of fantastically abstract shapes. The evolution from this to this in the span of less than 200 years is unbelievable; but still, the pre-Romanesque capitals of Cruas are charming and immensely beautiful in a paleolithic sort of way. While we were in Cruas shooting the church I stepped out for a while into the town and went for a stroll–it’s hard to resist the call of the street. 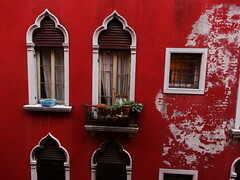 The old stones and cracked walls have stories of their own to tell us. 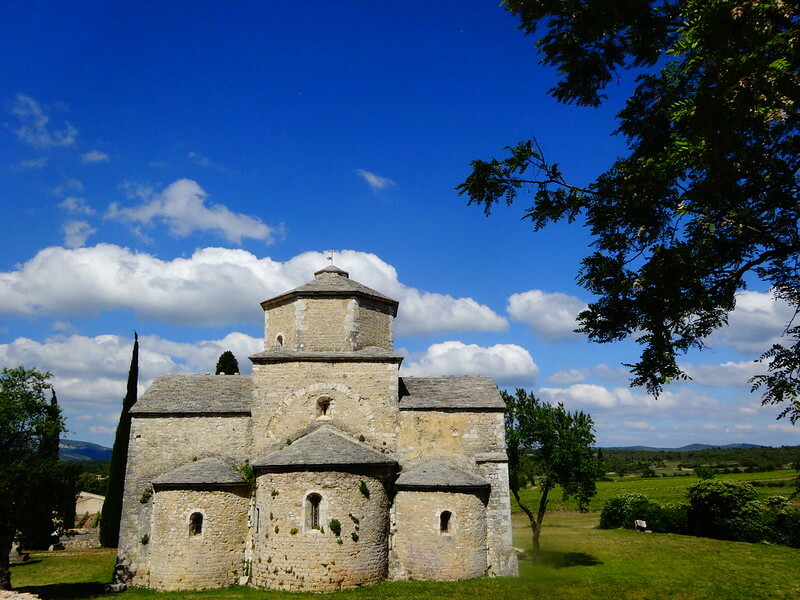 If you go weak in the knees for cozy French villages and untouched churches that are a thousand years old, share my passion for exploring places where tourists don’t go, and going on adventures with people from all over the world, you’re in the right place! Click on the “Follow!” button in the upper-right hand corner, enter your email address, and enjoy the ride. It’s free and I don’t spam my readers. 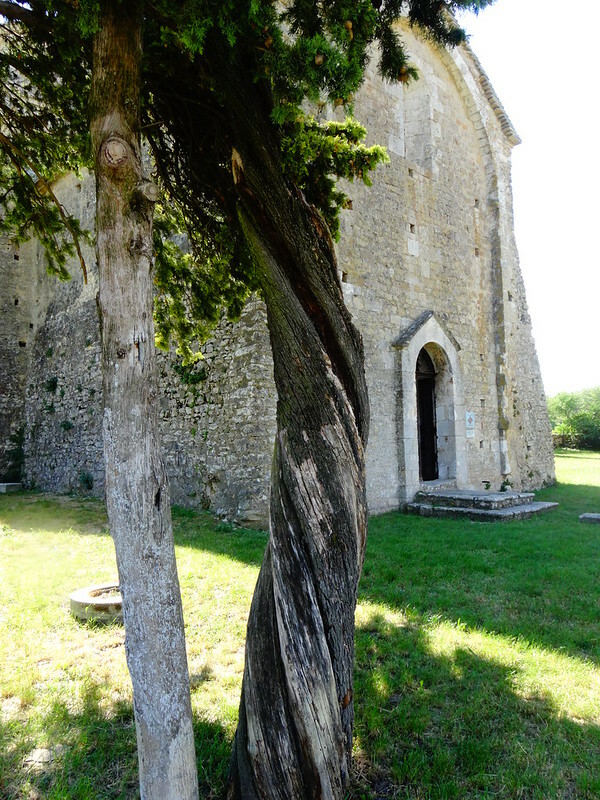 Posted in RomanesqueTagged architecture, Ardeche, art history, backpacking, France, photography, quaint, rural, sculpture, tourism, travel, villagesBookmark the permalink.